Moneglia is not only a delightful seaside resort, but also a perfect place for lovers of hiking, walking, and trekking. 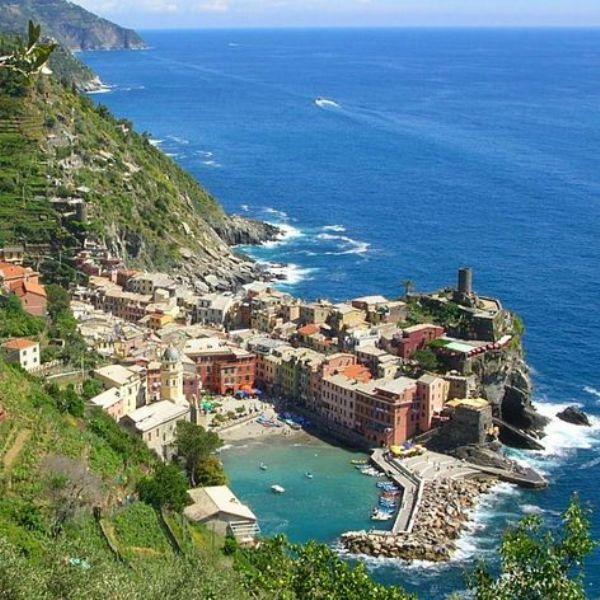 Behind the town stands the Coastal Ligurian Apennines, a mountainous area with a rich and wide-ranging vegetation. 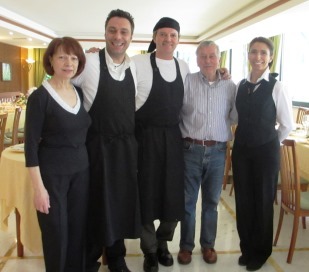 The staff at Villa Argentina is at your disposal when you’re looking for tips and suggestions for exploring the paths behind Moneglia. Here you find a map with some nice hiking trails: http://www.siriobluevision.it/2014/moneglia-villaargentina/. In order to get an idea, please have also a look at this one, taken from the book Between Woods and Olive Trees: 22 Hiking Trails in the Territory of Moneglia, published by the Centre for Studies and Research Ad Monilia. 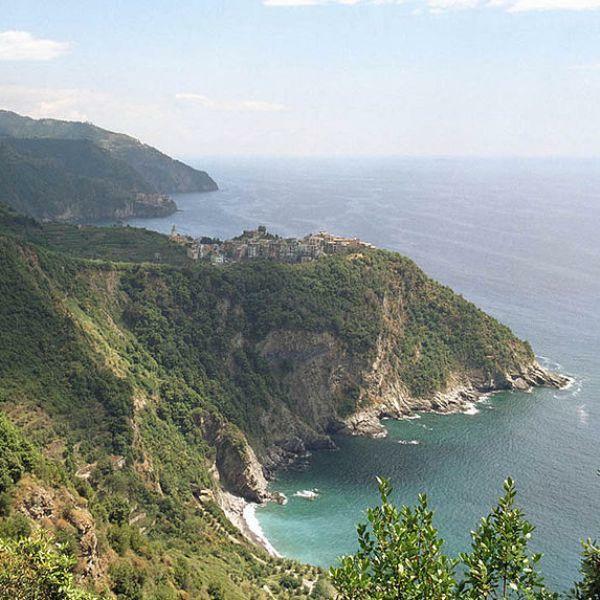 Starting from the Church of St. George in the west of Moneglia, go uphill toward Monleone Castle. Turn right and follow the castle walls; you will reach the “Secca” side. Continue until reaching Case Venino, where the trail properly begins. After about 20 meters, you will find directions to Casarza. The route, after a slight descent, continues up and down the hill, among pines and hardwoods. Following it will bring you to Case Montelugo. Here, after a stretch of dirt road, you will find a staircase with wooden handrails that leads towards Rocche delle Cantene. 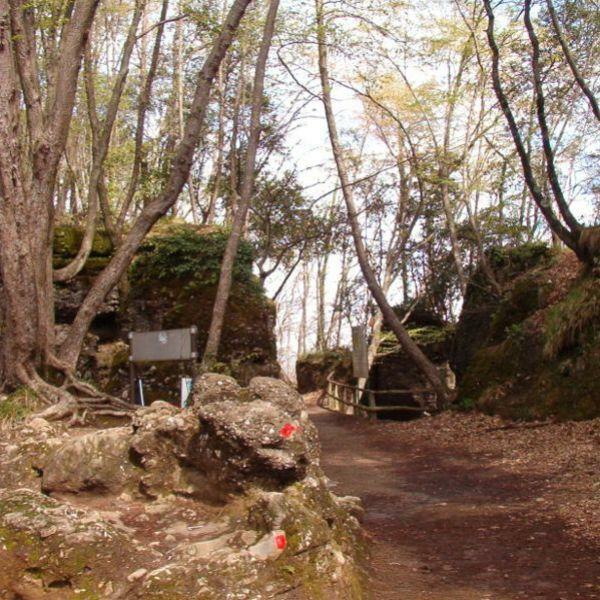 After a level stretch, the trail intersects itself with another path that connects Monte Moneglia and Ca’ Bianca. From here, you can go back to Moneglia if you are tired. The journey continues to the left, up to the ridge of the mountain, from where you can admire the breathtaking Val Petronio landscape. 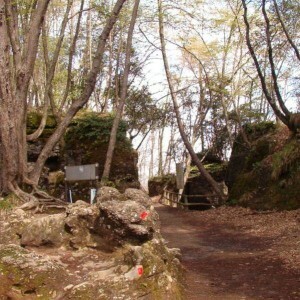 From here on, the trail gradually descends among chestnut and pine trees, until you reach Aurelia road. Cross it and follow the pathway on the left, which leads down toward San Lazzaro along a cobbled mule track, known as “Muntà dei Povei.” In the Ligurian dialect, this means “the poor’s climb.” The vegetation includes olive trees, especially from the Case Rissuolo area, where the route continues on a dirt road to San Lazzaro and Casarza Ligure. From Casarza, you can take a bus to Riva Trigoso, and then a train or a bus back to Moneglia.